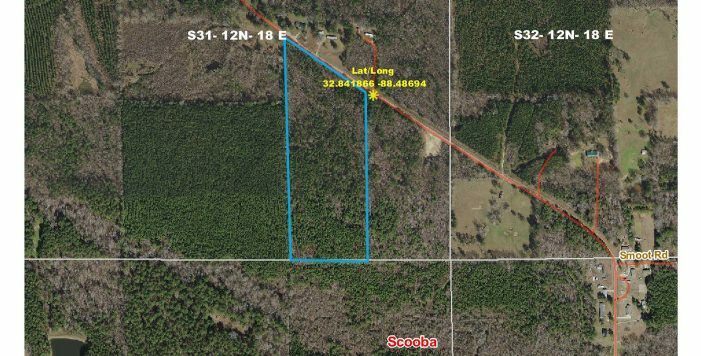 This 25-acre tract in Scooba will make a great home site and/or small hunting retreat. It is located on the northwestern edge of Scooba fronting the south side of Six Mile Rd. The tract is entirely forested with about a 20-year old stand of planted pines with some patches of natural hardwoods. The terrain is gentle so it should offer one or more nice home sites. There are nearby houses, so it is presumed that utilities are available.